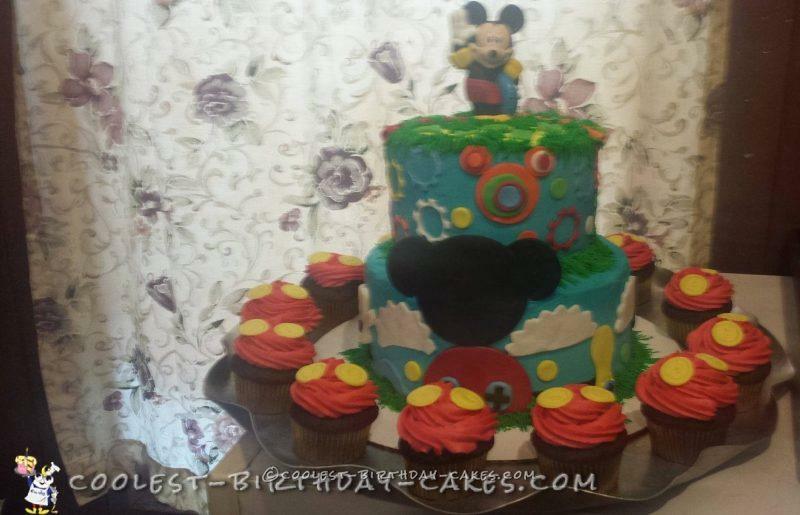 This is a two tiered mickey mouse cake made with vanilla cake and vanilla buttercream. I made the decorations from marshmallow fondant. They adored this cake! 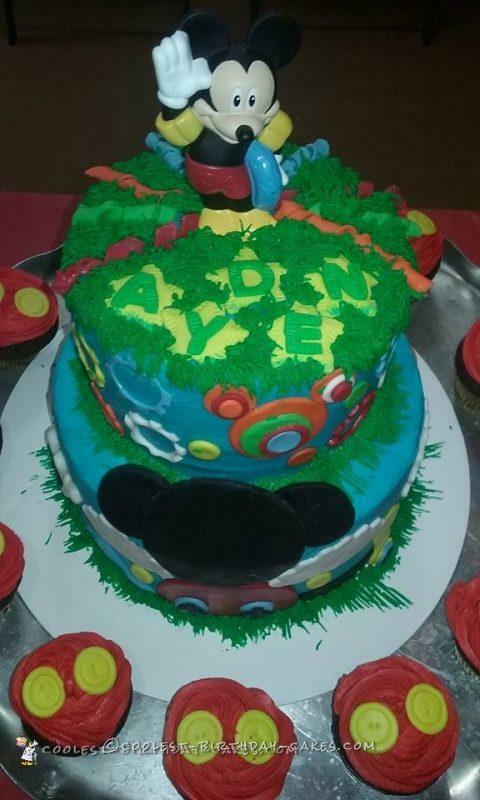 I also made mickeys buttons cupcakes and a smash cake as well. I made chocolate cupcakes with red buttercream and yellow button frosting to represent the pants and buttons of Mickey Mouse. 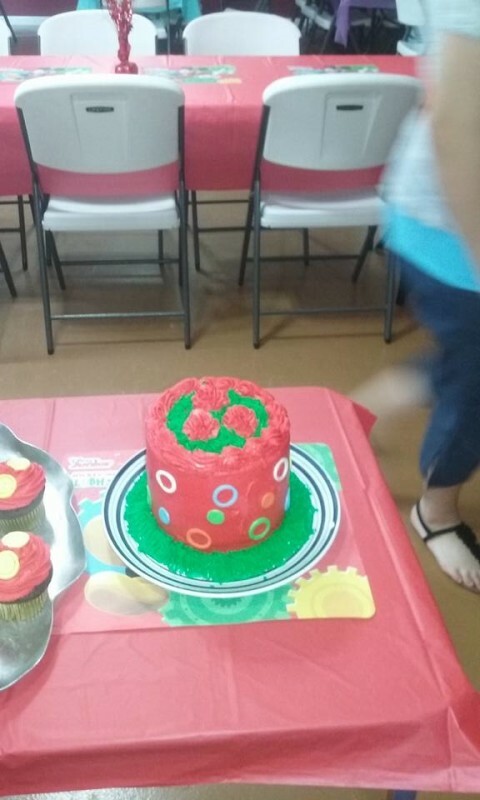 I made the swirls on top and the gears from fondant. 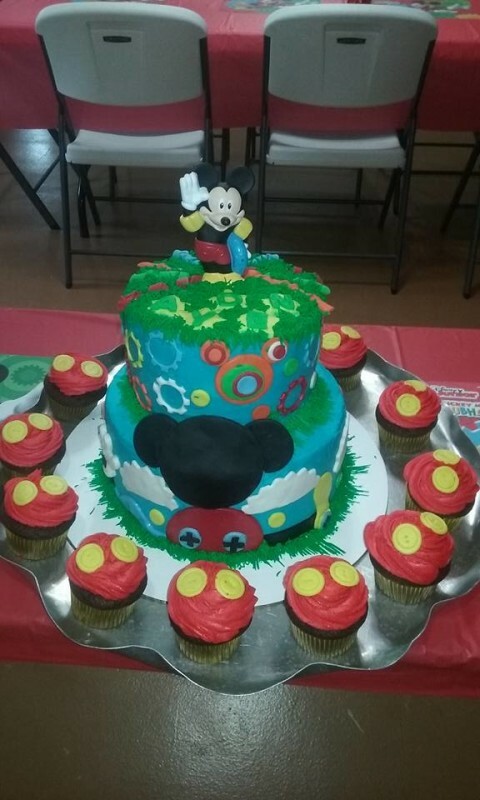 Also the mickey clubhouse was made with fondant. I took the challenge and they loved it! I would gladly take the challenge again. I always freeze my cakes first. I think they stay way more moist that way and when I defrost I don’t defrost all of it. Just enough so I can cut layer and carve etc. I never know what to charge for cakes so I just charged 25 dollars. I actually hope that wasn’t too much! Oh well, they loved it so that’s all that matters :).